Sign Up to receive our valuable research reports covering the latest NASDAQ Small Cap and OTC companies in the Technology, Cannabis and Cryptocurrency sectors. 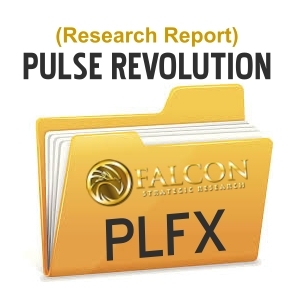 Readers of Falcon Strategic Research will find that most of stocks covered have disclaimers that the stock is held long. This is by design rather than coincidence because it is a sign that the analyst is putting his money where his mouth is. This brings the dialogue back to the tagline written by investors for investors. Falcon Strategic Research has a focus on small cap and micro cap companies that are not covered by traditional analysts on wall street. Falcon looks for real companies with tangible money invested and a reasonable expectation of producing revenue in the near future. The research will identify key milestones that the target company must attain to achieve its market capitalization targets. Some of the key elements are a niche product, focused and experienced management, and a well thought out capitalization structure suitable for non‐dilutive type financing. The primary research analyst is also Seeking Alpha contributor Michael Sheikh. His in-depth articles and research have been used in such publications as PSInvestor, StreetInder, EmergingGrowth and more. Falcon Strategic Research primarily relies on SMM Global for distribution of it’s research and may be paid a licensing fee if the target company wishes to license it. Want Us To Write About Your Company?